How would you like the opportunity to win a free paid app every day? There is an app that will give you this chance each day, and it is absolutely free. The app is called Promo Codes and each day's winners receive a promo code that they can plug in to get a paid app for free. If you don't win, you get a link to the paid app's Google Play Store page so that you can check it out anyway. Once you open Promo Codes, click on the button that reads "I'm feeling lucky!" and instantly you will discover if you're a winner or a loser. While you only get one chance at winning each day, there is always tomorrow! Promo Codes is a free download and users must have Android 4.1 or higher in order to install it. 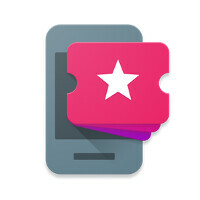 The current inventory of free paid apps includes Nova Launcher, Franco Kernel Updater, Today Calendar Pro, Focus, Impressions, Relay for reddit, Twee, Shuttle, and Progression. And as time goes on, we should see that list grow. If the idea of having a shot to win a paid app for free every day of the week is exciting to you, click on the sourcelink and install the app. With the opportunity to win every day, Promo Codes gives you a reason to get up every morning. Yes it is, Jack Underwood is a very good dev, with a top selling app Today Calendar. He asked developers who wanted in, so all the apps that are offered a promo code for, are with consent. No wonder I saw Jack asking devs if they wanted in. Great developer btw and good feedback. Love his app Today.